against Ratchaburi FC (Regional League Division 2 Central and Eastern) . a game that ended in a draw (1 - 1). The star was, who else, our Brasilian Philipe. was won (2 - 1). Songkla FC, next day against Bangkok FC and February 2 against Satun United FC. So CRUTD has a rather busy program ahead the coming weeks. season for Ratchaburi, so it will be interesting to see if he will be lined up today. 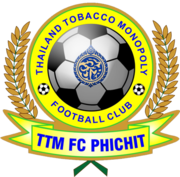 the 12th of February when our players will meet their counterparts of TTM-FC Phichit. 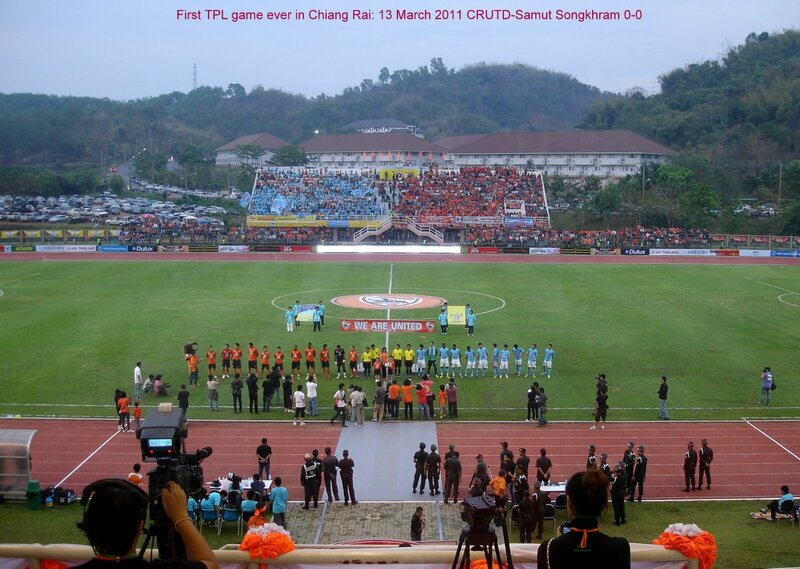 Chiangrai United in Premier League... That's a dream becoming reality... but a very expensive dream. The budget for the coming season has exploded. This year, the management, the sponsors and the Chiangrai United fans are all important to the success of the team. 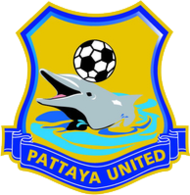 Chiangrai United and the Chiangrai People will have to be rather creative to allow the team to compete at the highest level in the best possible conditions. Revenues are very important and every ticket, t-shirt or key chain sold will help the team to reach its objectives. 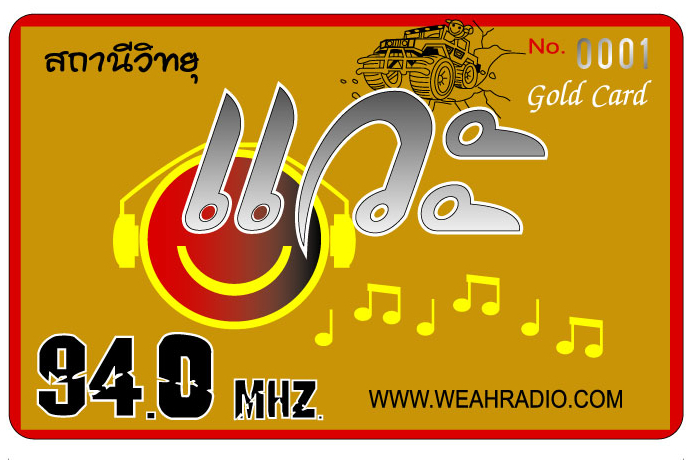 Weah Radio joined hands with Chiangrai United to open a new way for the Chiangrai United fans to support their club: The Gold and Platinum Club cards. Benefits of the Platinum Club includes complementary catering provided by Le Meridien Chiangrai. These benefits will be available at the Mae Fah Luang stadium for the beginning of the season, and then at the Chiangrai United stadium, once completed. Both the Gold card and Platinum card holders will receive the same benefits at the Chiangrai Hills Stadium, which should be completed in about 4 months in Maechan. 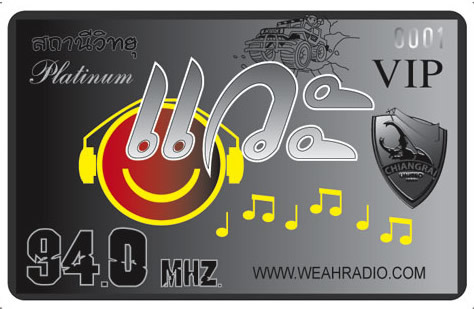 You can read more about this on the Weah Radio website. Yesterday CRUTD played away against Chiangmai in the 700 Year Anniversary Stadium and won 2 - 1.
as the field has to be prepared for the Premier League games to come. will use the stadium of the university. The sport fields themselves! They simply don't seem to have the expertise or the willingness to do so. technician as it simply doesn't permit the blind moves that are necessary for subtile ball treatment. It reduces the players to a kind of Kubota tractors that only can shovle the ball forwards. that the municipal incompetence played a role in this. Why don't they hire experts? not earlier than March 13 at the stadium of Mae Fah Luang University and will be against SCG Samut Songkhram. 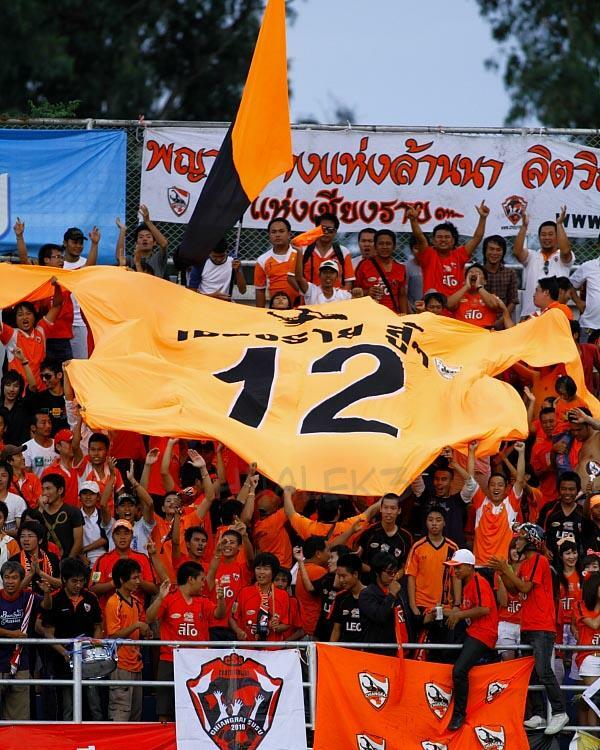 Chiangrai United after two years: The sky is the limit! again, this time to the highest level in Thai football, the Thai Premier League. 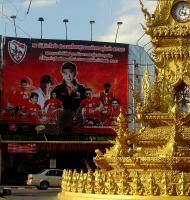 not only because of the thousands of supporters of visiting clubs but simply by the new ‘branding’ of Chiang Rai. 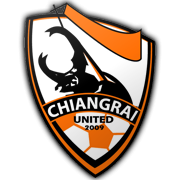 The spin-off of Chiangrai United’s glory will be noticeable all over this province and benefit many of its inhabitants. Japan, Brazil and Rumania and the coaches came from Thailand, Brazil and Togo. in the Indonesian Premier League with Persebaya FC, the famous club of Surabaya with its not less (in)famous ‘tifosi’. Chitescu played with CFR Cluj in the UEFA Cup in 2005, where this team ended as runner-up. the First Division of the Thai Premier League in the year 2010.
the risk of injuries is too high and, very simple, and you can’t play good football on a tubers field. of supporters hope for, it might be possible that the second leg of this year’s league can be enjoyed there. now they join the Orange Power Fans and their choir as well: Chiangrai! Chiangrai! Chiangrai! Susu! Susu! Susu! in the North of Thailand and the most Northern Province, Chiang Rai, has the honor to host it! Chiangrai United won away in Chonburi of Siam Navy with a convincing 3 – 1. Enjoy the game if you so wish! at the old Chiang Mai Road – left side). Check Rico's for collective transport. Nice post Limbo. I now feel up to speed on the great success story of Chiang Rai United. to the north to wittness the historical spectacle: The fans were back and they brought friends! Also about 300 fans of Samut Songkhram travelled about thousand kilometers to cheer their team. goal .... as everybody thought at least! It would, and should, have made the game more open and thus more spectacular, this relatively early goal. than a striker and this at both sides. by fear to loose the ball. Alltogether both teams put good football on the carpet and the game remained exciting untill the last moment. of unjustified loosing two points out of the possible three. main stand (180 Baht) as there are only 240 of its kind. from Den Ha direction Chiang Mai at the left. In two weeks the next home game will take place, against Sisaket MT FC. in Chiang Rai, but also in Mae Sai and Maechan. time when the advance sales start and where. Chiangrai United is so far doing fine in the Thai Premier League. of the second half that did the trick. multiply himself; he seemed to be everywhere, and how! In five games Chiangrai United collected 8 points. Only four clubs did better. specialists on Thai football, is also is a fan of Chiangrai United FC. all its games so far. (officially elected by the Thai Football Association). a very appropriate nickname: Forty! We wish the family Nattasan luck and happiness! Chiangrai United has a new English language website ! There are two ways to visit it. official views of the club. Mea Fah Luang University) against Pattaya United. The game starts at 6 PM. fanshops of the towns where you live. Don't forget to wear orange 555! - opposite ITD Plaza at the old town wall close to the Mengrai monument. - at the old road to Chiang Mai about three hundred meters after Den Ha. to the hotel in the centre of town. border. About threehundred meter to the left from the bridge. of Siamsport (at 18.00 thus). years of this miraculous football club. Thanks for all the positive reactions! Next week it is two years ago that I posted for the first time about the club. I concluded my first posting with 'the future is ours'! seasons later? I certainly couldn't! curl once in a while. another Thai Premier Leaugue team: Bangkok Glass!) will put his shoulders under it. I will try to assist him as much as I can. He is a football man 'pur sang'! Welcome to Chiang Rai BG-man! What time do folks leave from Ricos? They need all the support we can give them as they are in the danger zone and badly need some wins. Thanks Limbo, the new site looks good. What time do the folks leave from Ricos? Crai United need all the support we can give to get them some wins and out of the danger zone. visit all games of CRUtd 'down south'. The atmosphere in 'the box' was very pleasant. Chiang Rai will from now on move to the new English language Chiangrai United website. to bring pictures and videos together and you have a one-item forum concerning football. See you around soon, probably at the shop of Khun Phed. Nice relaxed place for a beer! launched a straight and hard as nails untenable shot. over Pattaya's goalkeeper and ended nicely into the right upper corner. the post into the goal. presented to an over-eager 'Rocking Dolphin'. and untenable into the right upper corner: 3 - 1 ! university campus. The total number of visitors must have been about 3.500. 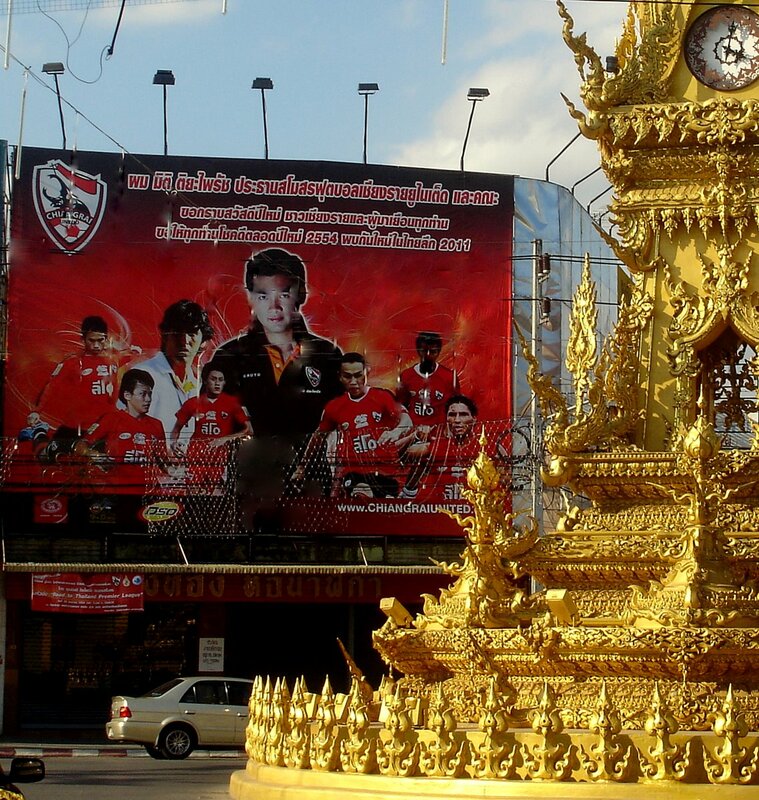 Thai premier League champion Muang Thong United. Same place, same time. Great result. I watched some of the game on television and from the stadium noise, it seemed like there was a great atmosphere. Thanks Limbo! Looks good so far this website of Chiangraui United, can only become better. Can you also add a section about Chiang Rai, same like kwangkrung Chiangrai Bangkok group does. So not about football alone? More about Chiangrai?